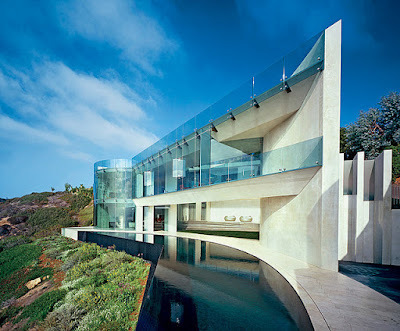 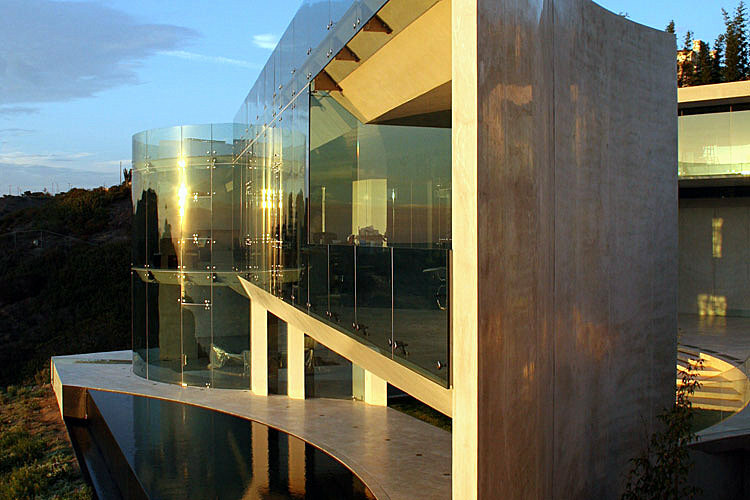 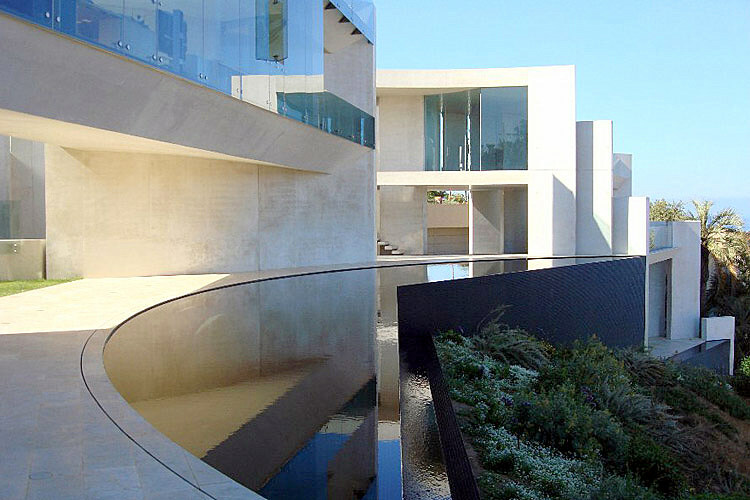 The infamous "Razor House" in La Jolla, CA is a visually stunning 11,954 square foot architectural masterpiece that was designed by San Diego-based Wallace E. Cunningham. It should be noted that Cunningham has made the "AD100" list three times (2004, 2007, and 2010) and was also featured in Robb Report's "Top 30 Designers" in 2007. 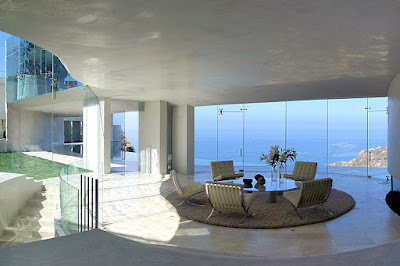 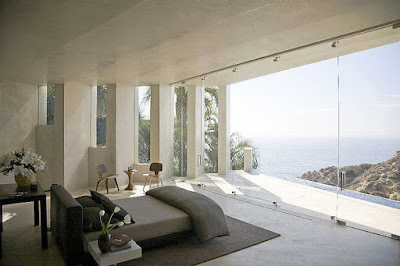 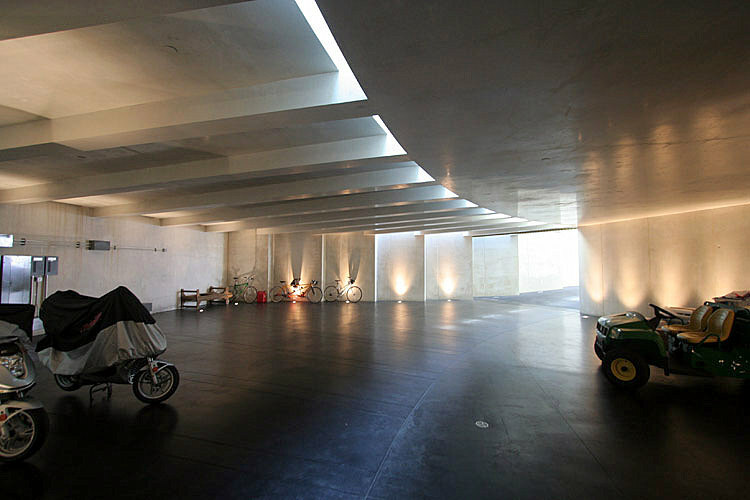 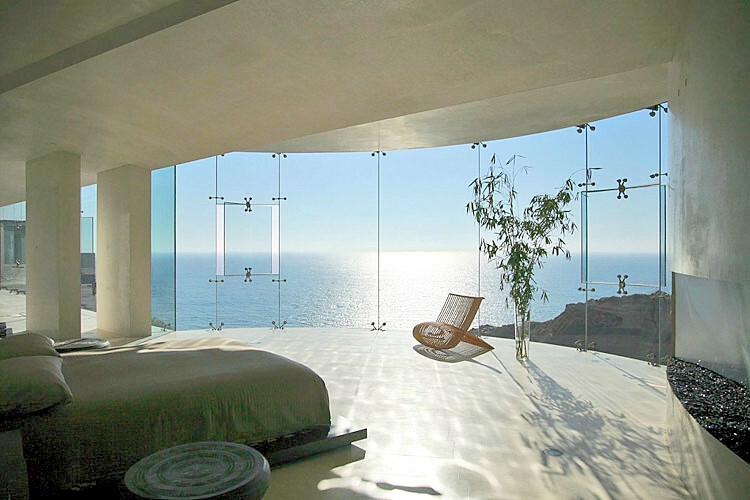 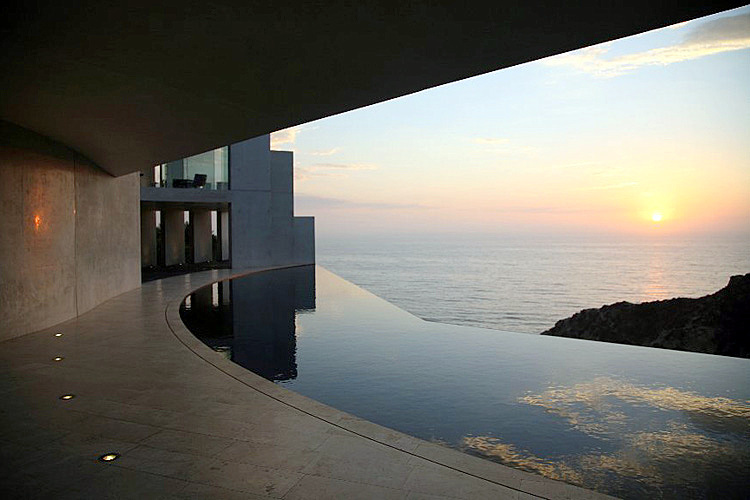 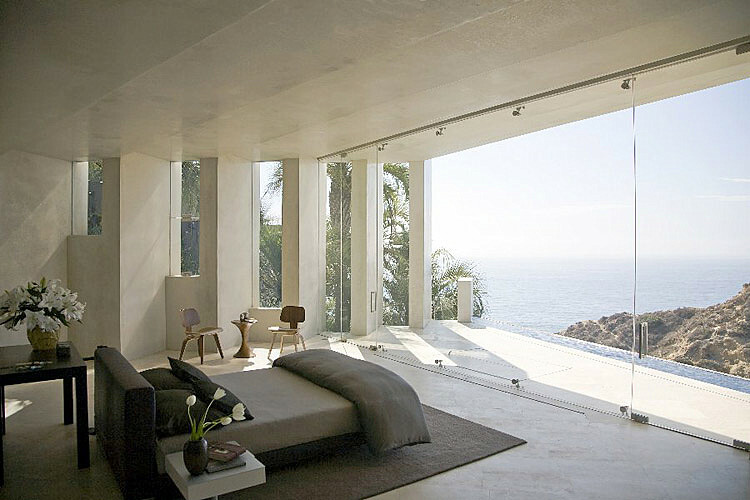 Completed in 2007, Razor House (named after the Razor Point trail) is constructed from white polished concrete and its expansive floor-to-ceiling glass sections offers boundless views of the ocean and surrounding landscape. 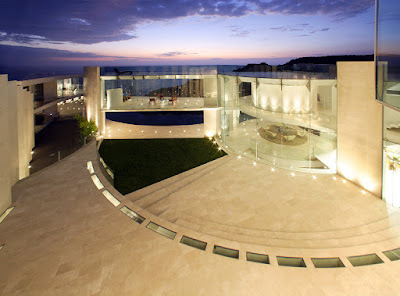 It features four bedrooms and six bathrooms, a subterranean garage, and an infinity edge pool that appears to flow into the Pacific Ocean. 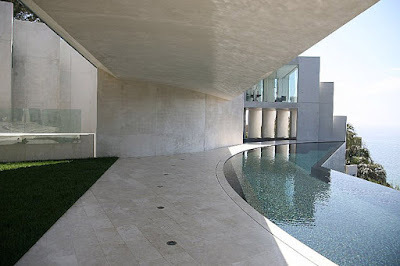 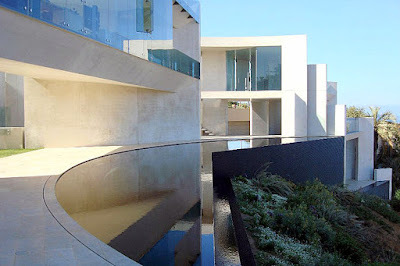 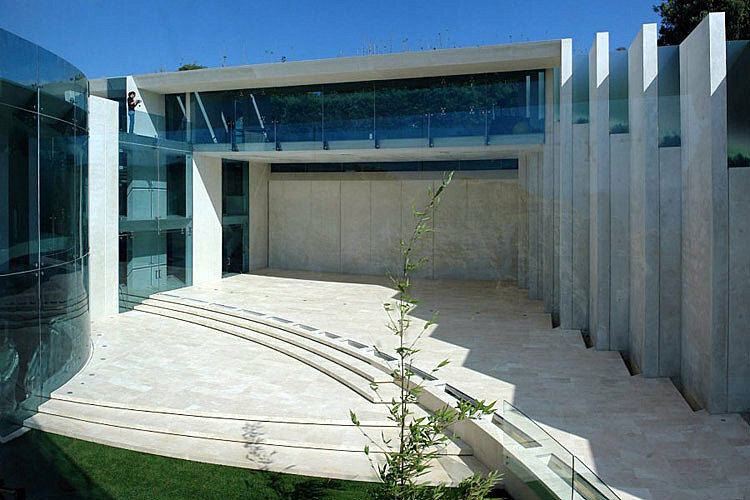 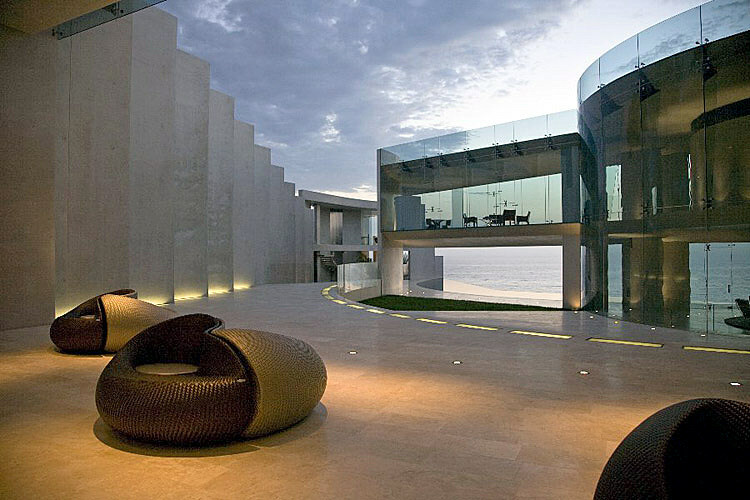 See more pics below of this astounding contemporary mansion.